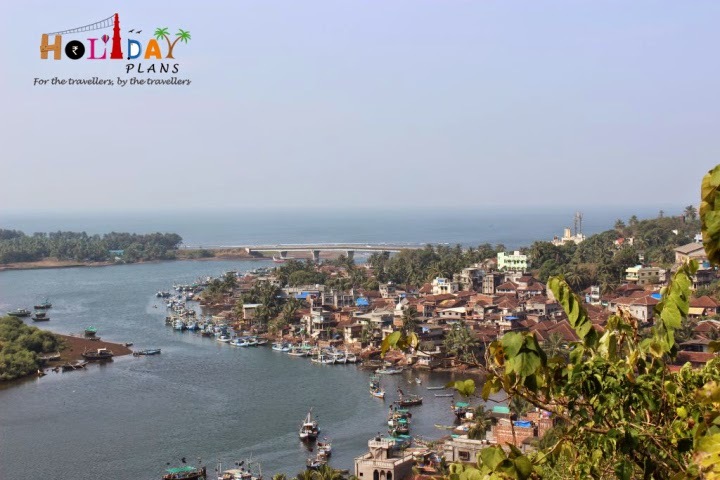 Home » Arabian Sea » Bhagwati Durga Temple » Bhatye Beach » Chapora Fort » Ganpatipule fort » Goa » Jaigad fort » Kajali River » Maharashtra » Mandavi Beach » Ratnadurg Fort » Ratnagiri » Thibaw of Burma » Thibaw Palace » Thibaw Point » Ratnagiri Excursion - Natural Spa to Senses ! 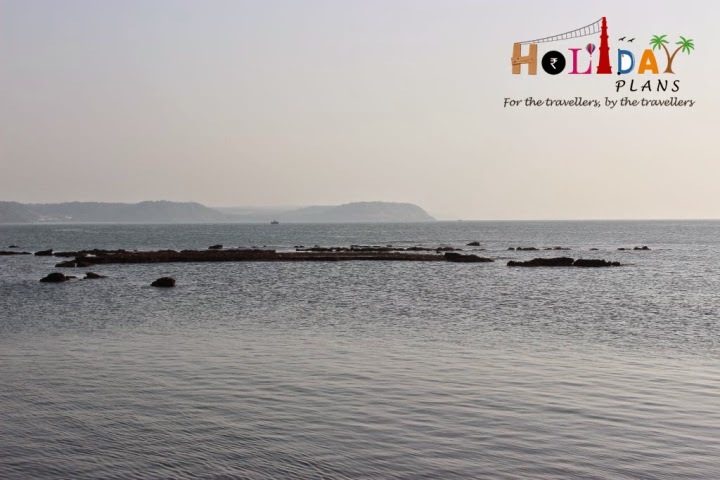 Ratnagiri Excursion - Natural Spa to Senses ! It’s been more than 2 months since I last stepped out of my monotonous life and explored some new place. It was because of this very reason that I was coaxing myself to take a break. 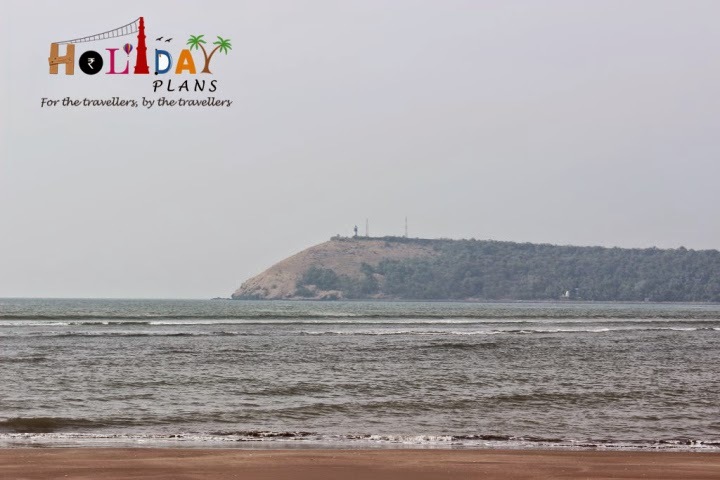 I decided to explore Ratnagiri – a small place along the Maharashtra coastline which proclaims to have best white sand beaches in the world! I along with one of my friend got the tickets (tatkal quota) to the place immediately and was on the train the very next day. 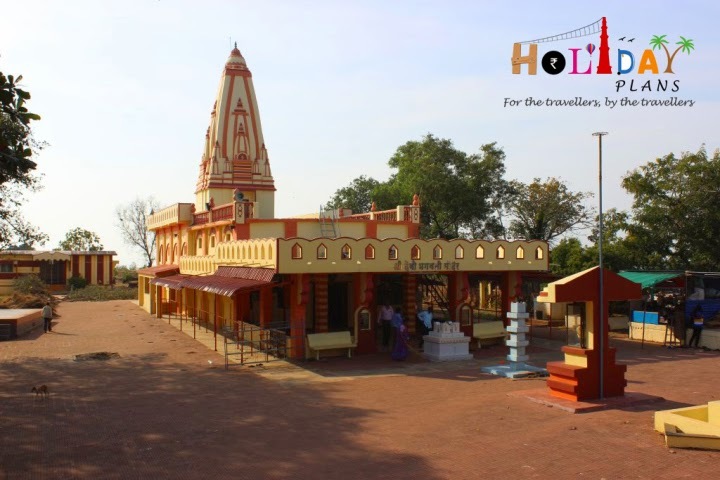 It takes an overnight journey to reach Ratnagiri from the Delhi. 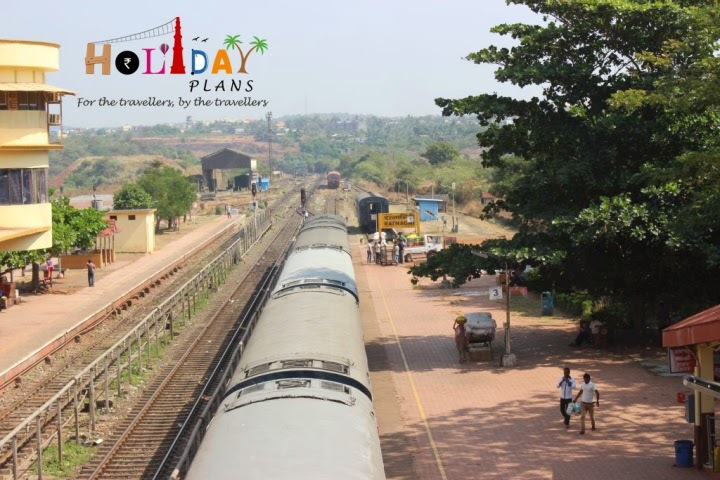 The long train journey had taken a toll on us and we were feeling a pretty tired upon arrival, but as soon as we got down the station all our tiredness just vanished. 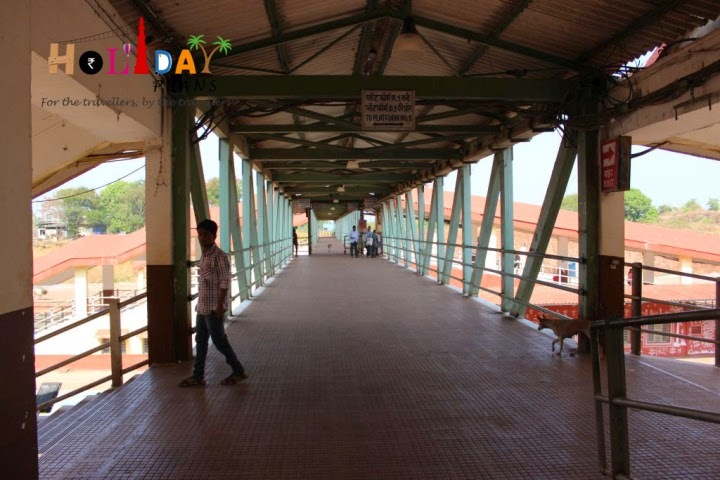 The station of Ratnagiri is so well maintained and clean that I felt like I have moved to some another world. I couldn’t help myself from clicking a few pictures of the station itself. I began to wonder that a place where railway station is so well maintained, how the other places of tourist interest would be. I was suddenly filled in with great enthusiasm to explore the new place! We checked into the hotel, got freshen up and immediately set off to explore the place. Our first destination was the Thibaw Palace and Thibaw point. Thibaw Palace is the place which was used for keeping the King Thibaw of Burma in exile. The British took over the Burma kingdom and arrested king Thibaw. 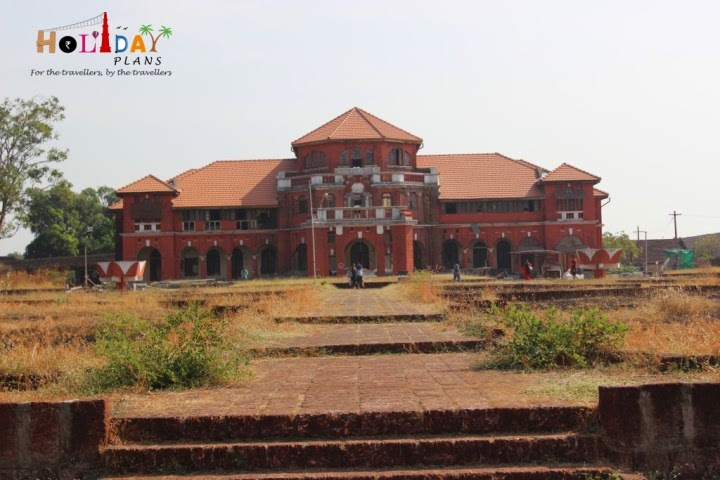 The palace is a beautifully constructed three storied structure with sloping roofs. Semi-circular wooden windows with beautiful curving are the main attraction of this structure. 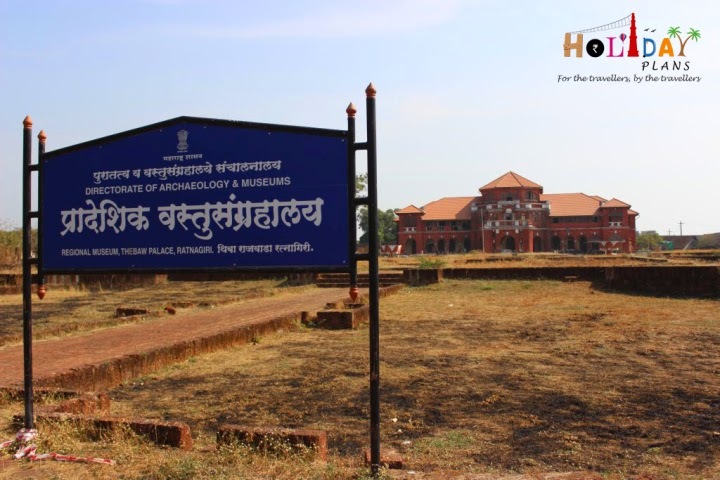 Presently the palace is maintained by archaeological department and restoration work is going on. At a walking distance from the palace is the Thibaw Point. This is more like a family picnic place and has been developed as a terrace garden. 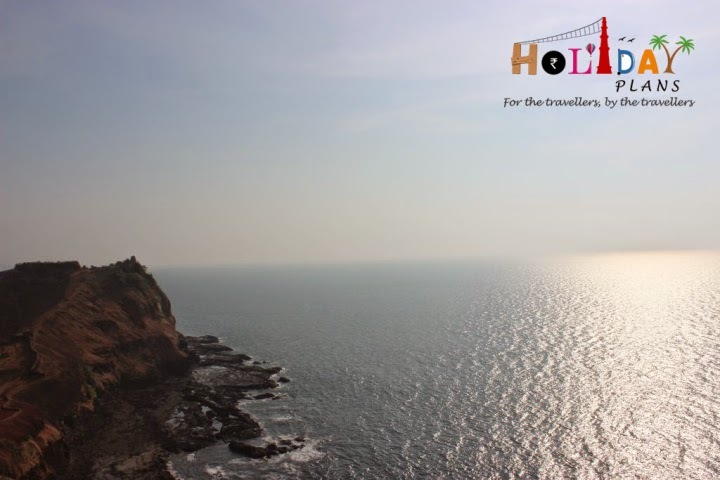 This place also houses a lighthouse which provides a great view of the Ratnagiri city and the confluence of Kajali River in to the Arabian sea. The views from this place are just enchanting to say the least. 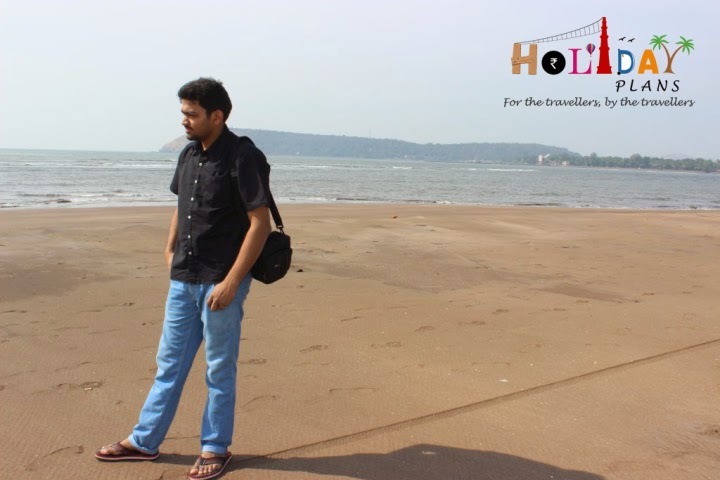 Ever since I arrived in this place I was waiting to for the encounter with the Arabian Sea. We decided to visit Bhatye beach as our next destination. 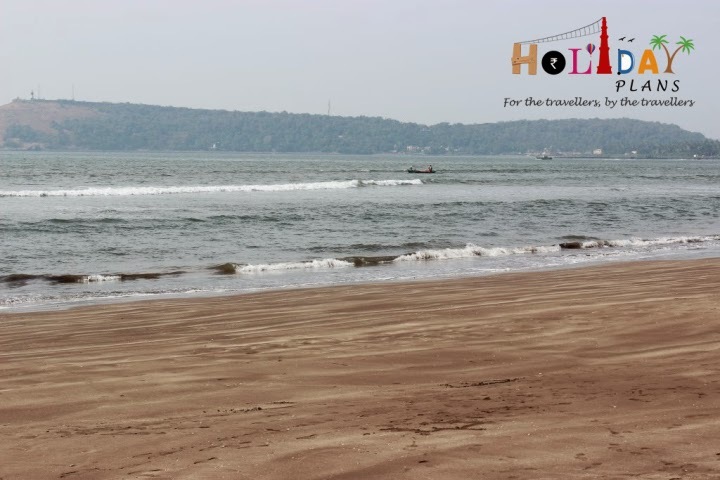 Bhatye beach is just 1 km away from the main Ratnagiri town and is connected to Ratnagiri through a bridge which is very much visible from the Thibaw Point. The beach was idyllic, quiet and very less souls were around. We could easily hear waves hitting the shore and there I found the peace and serenity I was looking for. Also you could sight the lighthouse and the fort in distance from this beach. The length of the beach is approx. 1.5 kms long and we decided to walk along the shore with slippers in our hand and the waves cutting across our feet. Also there are lots of shacks present at the beach to feed your hungry tummies. 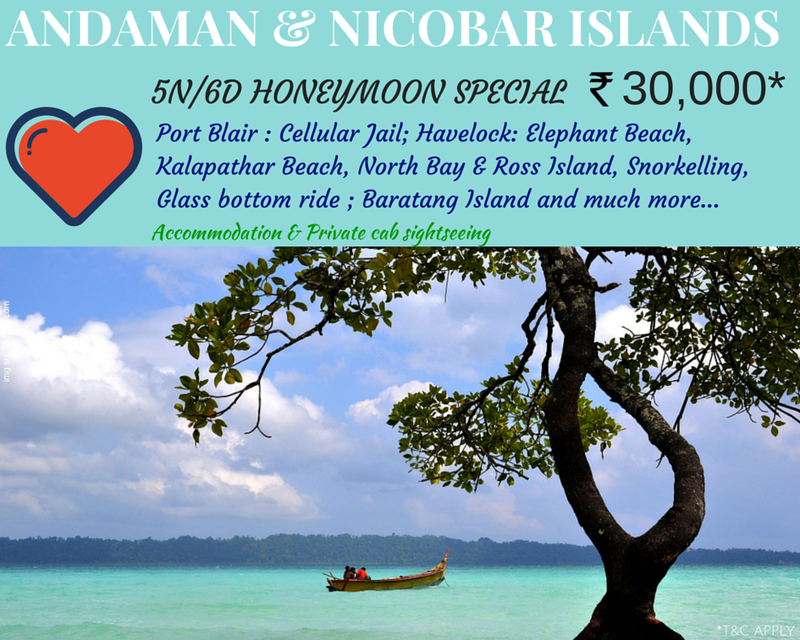 After spending good hour and half at the beach, we decided to move towards the famous Ratnadurg Fort. Yes! This place has a fort and all the forts built next to the beaches have always captured my imagination. 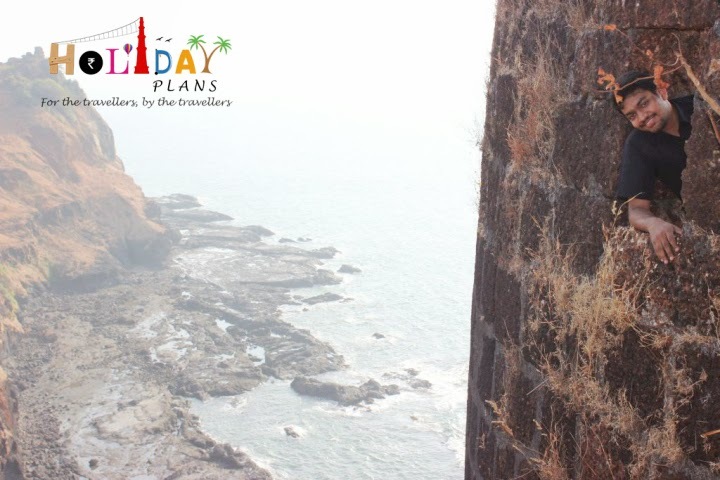 The Chapora Fort in Goa was one of its kind and here I was in front of Ratnadurg fort! The road to the fort is a bit steepy and hilly. But as soon as we closed in on the fort , the excitement level increased as it was seemingly in better condition than the one in Goa. 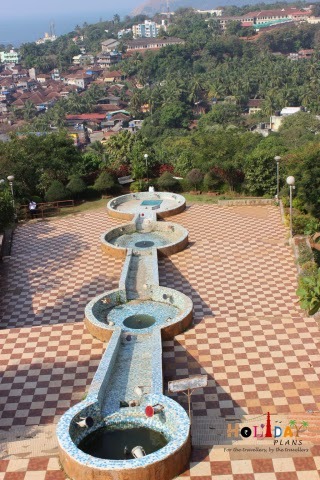 The fort is surrounded by the Arabian Sea on the three sides and is in the shape of a horse-shoe. 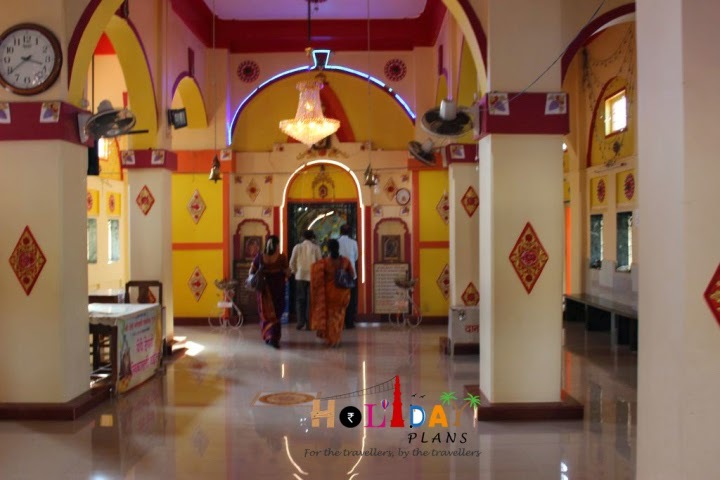 There is one Bhagwati Durga temple in the main complex. When you walk across the fortified walls, up comes the view worth sitting and gazing. 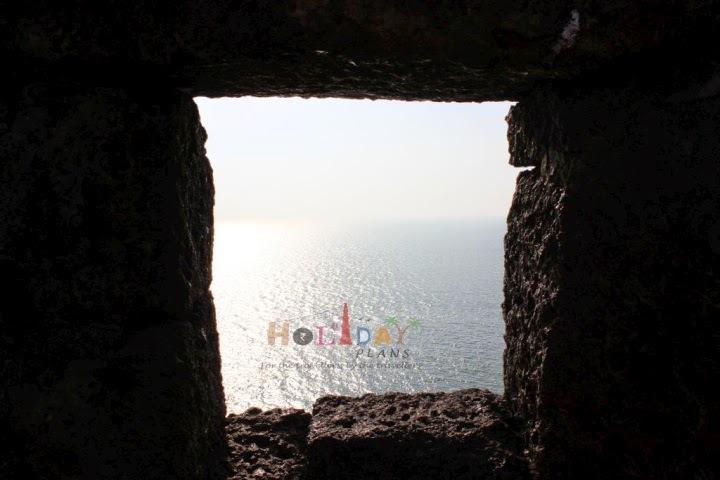 The long endless sea merging with the clear sky is one such view from the fort. The clock read well past 3 and since we were out from the morning our tummies started to rumble. 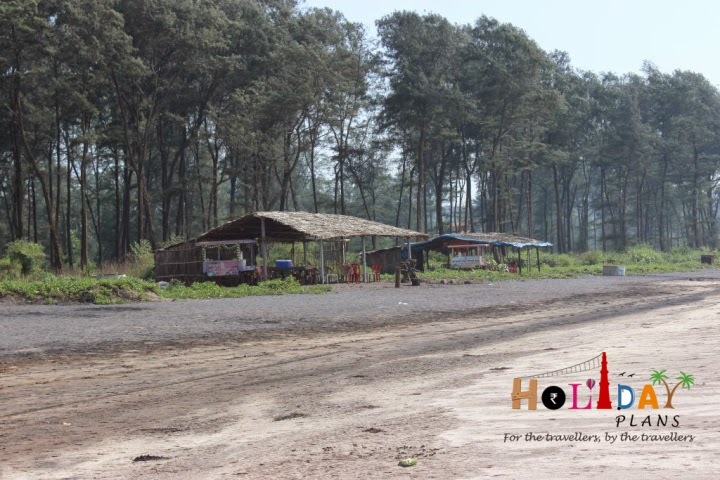 We headed towards Mandavi Beach – the most happening beach in the main Ratnagiri town. We had our lunch and sat near the beach gazing the views that it offered. I have read that Mandavi beach promises pretty good sunset view so we sat there and waited for the sunset. We saw a flock of birds in not so far area. I managed to click few pictures of them. The sea was calm at one end and there were silent waves at the other. This was a very different kind of beach in this regards. There were lots of local eateries coming up as the sun was setting down. It was pretty much evident that people come here to enjoy the evening and sunset. Well the Sunsets from the beach seen from anywhere are just perfect! Perfect orange lining in the sky and like a big ball the sun went down into the sea! Mesmerizing it was! 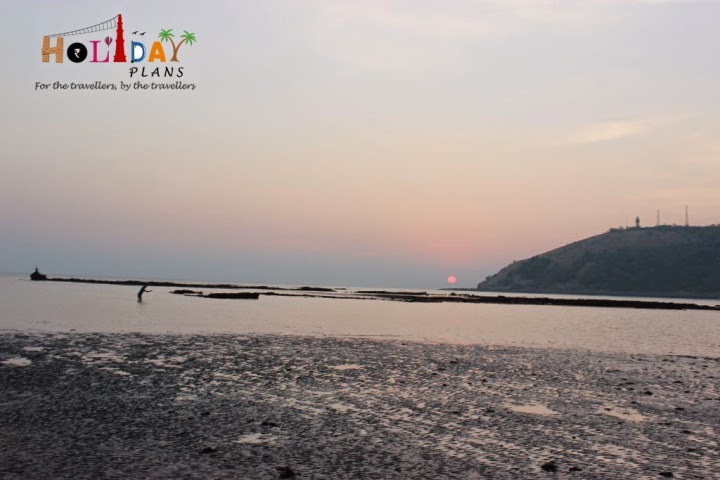 Awesome sunset view at Mandavi Beach! 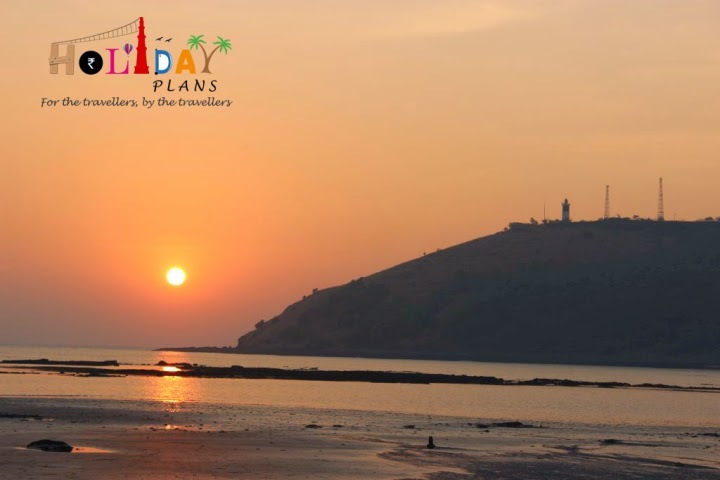 Post the sunset we decided to call it a day for Ratnagiri town excursion. I had come with great hopes of witnessing something offbeat and unique and I was delivered the same. Such calmness of the city made me its fan. 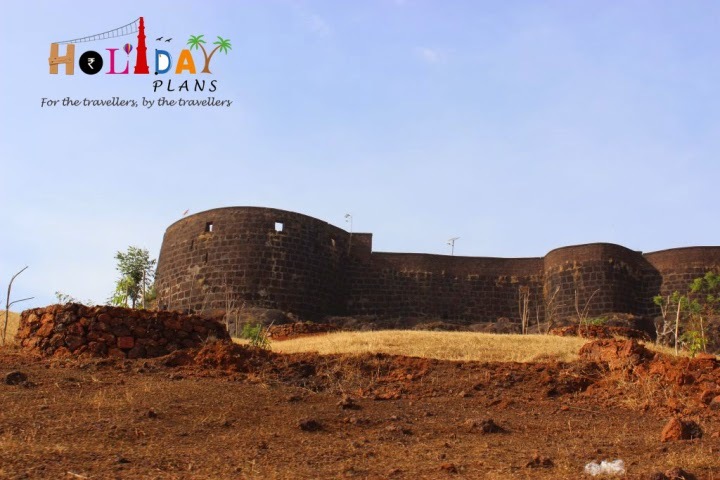 We will visit Ganpatipule and Jaigad Fort in the next article! To book a customised tour to Ratnagiri to treat your senses with tranquility, feel free to get in touch with us.